The horse/human relationship -- unconventional approach for personal development and growth. You will achieve clarity and focus in the moment. You will develop the ability to stay focused on goals. You will move forward with confidence and ease. You will learn how to listen and respect your intuition and impressions. Partnership, encouragement, accountability, listening, and a different perspective are provided to you. We talk about how this relates to your life including your desired goals, feelings, environments, and outcomes. This unique experience with horses is located in Snohomish Washington. We will work with horses on the ground and complete a range of exercises. Are you curious about how life coaching with horses works? Come learn about their healing power first-hand during our morning of exploration. Experience for yourself the power of the horse/human interaction. Bond with these powerful animals and learn more about yourself while having fun! Join us at Centaur Development Wellness Ranch for a morning of experiencing grounding, coaching and healing with Stacy and her beautiful equine coaching partners. 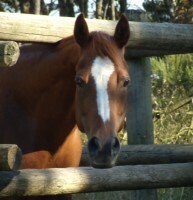 ​​Equine guided life coaching is specifically designed based on the unique objectives of each individual. Feeling a deeper connection with self and others. Connecting to their own leadership and moving into action. Gaining clarity about life purpose, mission and legacy. Shifting from just living and doing to striving and thriving. Does this sound interesting to you? If so...this is a calling to engage in Equine Guided Coaching. ​ Contact Stacy for more information on programs offered or to set up your own private coaching sessions. ​​Interested? Fill Out This Form For More Information.